Wine of Spain. 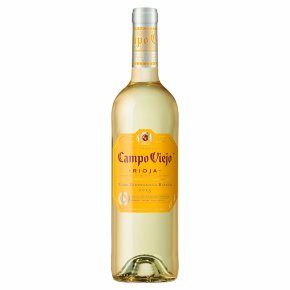 A refreshingly light and fruity white wine from Rioja. Perfect on its own or with chicken, fish and salad dishes. Campo Viejo's dedication to Rioja winemaking (it's been around since 1959), alongside the most advanced winemaking techniques available, allows them to create modern twists on traditional methods, delivering progressive styles of Rioja that satisfy today's discerning modern palates and perfect for sharing with friends.